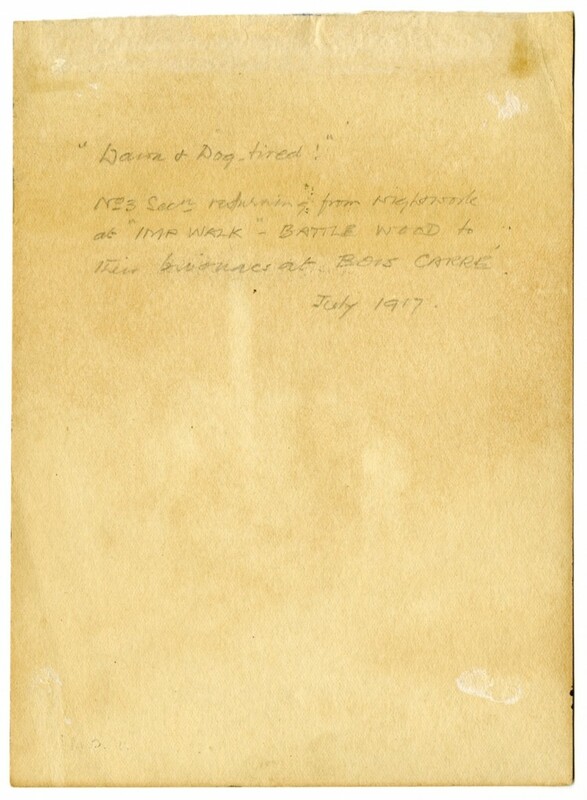 Some time ago, you may remember, I showed you a drawing of dugouts on the Ypres-Comines canal by Lieutenant Hugh Mossom Boyd of the Royal Engineers. Well here’s a painting of his from July 1917, not long before he would be posted back to England to become Adjutant at the Royal Engineers Depot at Chatham. Later promoted to Captain, he would return to the front one more time before the end of the War. We will doubtless meet him again at a later date. Huge thanks to Brian for allowing me to scan the original. 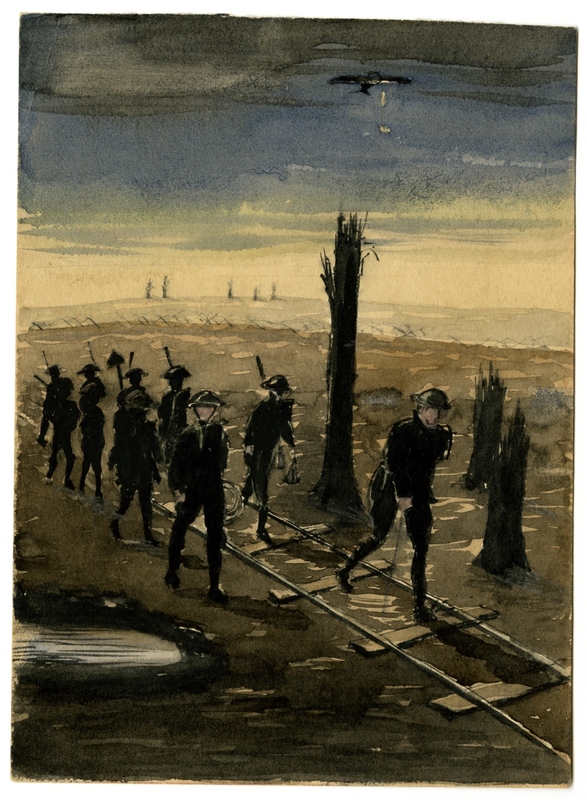 This is a hugely evocative picture…and painted by one of the local men we are researching for our village war memorial/roll of honour project. I would love to make contact with any living relatives as I though his family line ended with Hugh Boyd when he died in 1924. Hello Merve. As you have gathered I do know one of the Boyd family but I don’t know exactly where he lives, I haven’t seen him for at least six months, and I believe he may not be in the best of health. If I do see him I will most certainly tell him of your interest, and there is one other possibility that I will look into next week.